Here at Strongguard, we offer a wide variety of commercial roofing solutions. We understand the unique needs of business owners when it comes to building maintenance. Commercial roofs are often very large and require a specific approach for repairs or replacement. For this reason, we have adapted to meet the needs of our commercial clients by developing a specialist service offering. If you’re looking for the leading company for commercial roofing Brisbane wide, talk to the Strongguard team today. We offer everything you need to keep your commercial roof at its best. Our services range from minor repairs to complete commercial roofing restorations and replacements. 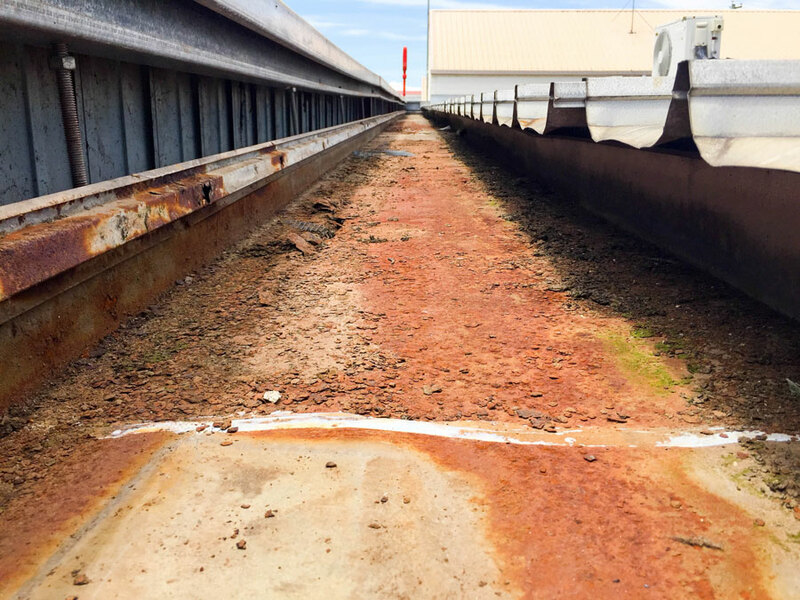 There are many different types of commercial buildings throughout Brisbane, including old ones where asbestos roofs can be an issue. This is why we also offer commercial asbestos roof replacements. Strongguard have all the equipment and experience necessary to deal with all sorts of Brisbane commercial roofing issues. We can guarantee you great service and targeted commercial roofing solutions, throughout Brisbane and Southeast Queensland. Talk to you team today on (07) 3623 4422. Commercial roofing is very different to standard domestic roofing. For one thing, commercial roofs are almost always far larger than domestic ones. In some cases, they even cover multiple occupancies, which can raise several issues. However, with an experienced Brisbane roofing company like Strongguard, you won’t have any problems. Even if you’ve invested considerable amounts on repairs with someone else in the past, we can help. Often we encounter clients who simply cannot seem to get their commercial roofs fixed, no matter how many times they try. With our experience and knowledge, we can give you an honest assessment and clear alternative solutions that will work. Leaks are one of the most common issues we encounter, when it comes to Brisbane commercial roofing. Many commercial roofs are flat, which makes it harder to identify leaks. In addition to this, the sheer size of many commercial roofs makes a complete replacement financially prohibitive. Fortunately, the team here at Strongguard are experts at diagnosing leaks. To make sure you receive the best possible experience with our commercial roofing Brisbane services, we begin our process by identifying your priority issues. Once we are familiar with your priorities, we can develop a plan to address your most important problems and work from there. Commercial roofing often involves working at great heights. Without the right knowledge, experience and equipment, this can be potentially hazardous. To makes sure that all of our work is safe, we always take the appropriate safety measures. These include setting up scaffolding, elevated work platforms and permanent or temporary safety anchor points. This ensures our safety, and also satisfies the standards set out by workplace health and safety regulations. We have the solutions for all kinds of leaks in your Brisbane commercial roofing. All of our repairs are designed to prevent leaks permanently, at little cost to you. These solutions include dry pan flashings and back-tray flashings. We install the dry pan flashings on your walls and they inhibit pre-existing leaks. As well as this, we can install back-tray flashings to large roof penetrations, such as air-conditioning, ducting and other large plant. In fact, we can even address old and cracked skylights. To do this, we simply install new fibreglass sheeting and safety wire to ensure safety and improve natural light. Sometimes, Brisbane commercial roofing deteriorates to a point where the box gutters must be replaced. This is something that we have a great deal of experience in. We recognise that replacing box gutters can be a big job. Fortunately, we have the expertise and equipment to undertake such jobs with ease. Strongguard will replace your box gutters and will also ensure that sumps, rainwater heads and internal downpipes are in optimum condition. We don’t take shortcuts here at Strongguard and use only the highest quality materials. As a result, you are guaranteed solutions that will stand the test of time. If you would like to improve your commercial roofing, simply contact the Strongguard team. We can take on even the most challenging of commercial roofing jobs. Our aim is to ensure the best, most cost effective outcome for you. Simply call our team today to let us know what your problem is and we can work towards a great solution. Alternatively, you can lodge an online enquiry and we will get back to you. #1 Can you provide me with a comprehensive commercial roof report? Here at Strongguard, we offer more than just commercial roof repairs. We offer comprehensive roof care that includes a detailed appraisal of your commercial roof and its condition. We know that you are likely to want a clear idea of the problems that are present on your roof, before you commit to a repair. We also recognise that some commercial buildings require roof inspections as a part of leasing contracts. For these reasons, we offer detailed roof reports for commercial roofing, Brisbane wide. We include all the information you need to familiarise yourself with the state of your roof. We will also supply with you photos of the specific faults in your roof. This report should be sufficient to give you a very clear picture of what needs to be done to bring your commercial roof back to a high standard of quality. #2 Our commercial roof is extremely high – can you still fix it? Here at Strongguard, we have experience fixing all different types of commercial roofing Brisbane wide. We have undertaken roofing repairs on everything from single storey buildings to high rise constructions. Safety is always our number one priority. In keeping with this, we make sure that all the work we do is done in accordance with the strict regulations set out by the Department of Workplace Health and Safety. No matter how high your roof is we will still set up the appropriate safety equipment. 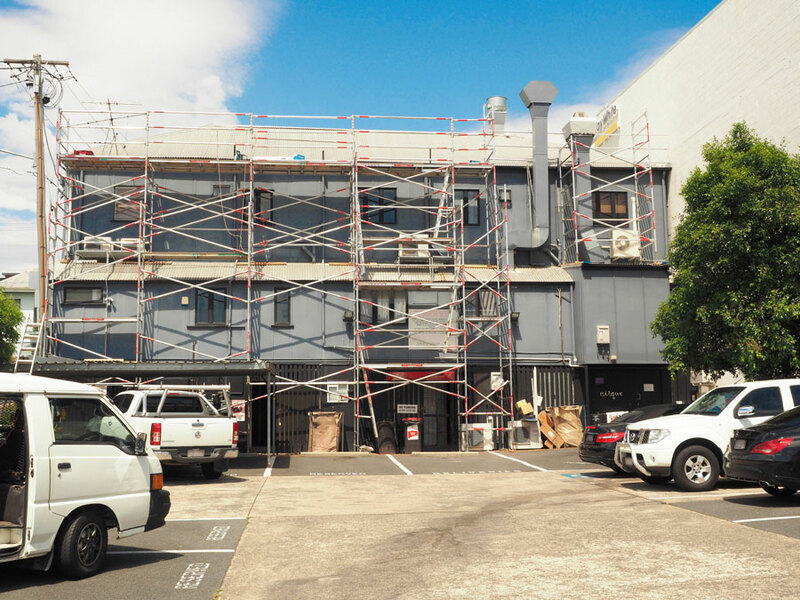 We have access to the right scaffolding, elevated work platforms and access equipment to suit any Brisbane commercial roofing job. In addition to this, we have extra safety gear to use on particularly tricky commercial roofing jobs. There is no roof too high for the team here at Strongguard. Simply contact us if you need commercial roofing solutions. #3 Can you repair commercial box gutters? Commercial roofs are quite inaccessible to most people. This means their guttering systems often go without much maintenance. As a result, commercial box gutters often rust or deteriorate. This can cause many problems for other parts of your building. It is therefore important that any leaks are addressed quickly. Leaking water can damage timber structures and electrical fittings. This may create a major safety hazard. Here at Strongguard, we recognise the importance of commercial gutter repairs. That is why we offer complete box gutter repairs for any commercial roof. One of our priorities is to create a long-term solution for your problem. As a part of this, we offer only the highest quality materials and this includes gutters. All of the gutters we install are sourced from BlueScope Steel. BlueScope is an Australian owned company that produces COLORBOND® steel and ZINCALUME® steel roofing materials. If you have a leaking box gutter, then we can replace it. As replacements, we recommend COLORBOND® steel gutter systems. These include sumps, rainwater heads and internal downpipes. With unrivalled durability and sleek looks, these gutters are the best on offer. #4 Do you have the manpower to replace the roof on a very large commercial property? 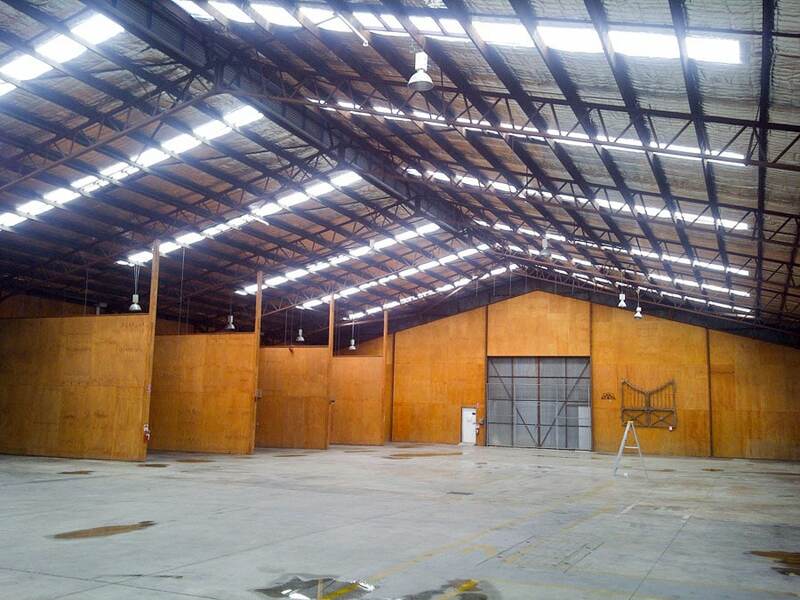 Here at Strongguard, we know that commercial properties comprise the largest properties in Brisbane. Parts of Brisbane are known for their warehouses and high rise buildings. Commercial properties may vary in shape and design but they have one thing in common: very large roofs. We have kept this in mind when developing our Brisbane commercial roofing services. Our team consists of Brisbane’s most proficient roofing experts, so you can rest assured that manpower is never an issue. We take an individual approach to each of the commercial roofs that we fix. Every roof is has a unique shape, design and size. This means that a targeted solution is always necessary. 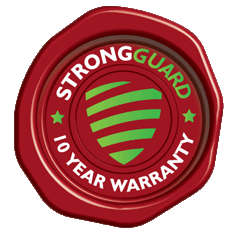 Strongguard has reliable suppliers when it comes to materials. We also have experienced roofing specialists on hand. This means that we can source very large quantities of roofing materials. As well as this, we have what it takes to install them. Whether your roof is 10 square metres, or 10,000 square metres, you can rest assured that Strongguard has you covered. If you have any doubts, feel free to give us a call. We are always happy to run you through some of our commercial roofing services and past projects.